Nice Carnival is the main winter event on the Riviera and one of the largest carnivals in the world, offering a programme of unforgettable entertainment! In Apricale there’s the Festa Dell'Amore festival that celebrates love, the whole village is decorated and there are special dancing, musical and theatre events. 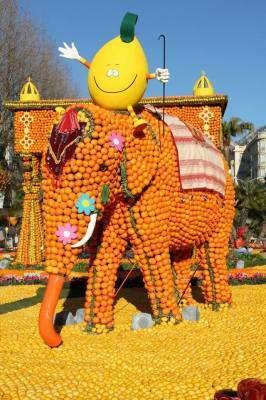 La Fête du Citron® (Lemon Festival), in Menton offers a unique event with designs up to 10 metres tall, incredible decorations, floats requiring over 160 tonnes of oranges and lemons - unforgetable! 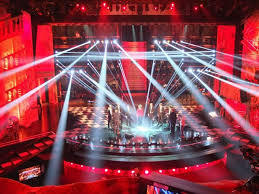 Takes place at the famous theatre Ariston in Sanremo where, for a week, famous -and less so- Italian singers and performers propose original songs, newly written just for the occasion. The Festival sees singers and stars walk Sanremo's red carpet, surrounded by the beautiful flowers of Liguria, under the eyes of millions of Italians. The first Festival of Sanremo was organized by the entrepreneur Pier Busseti and was broadcasted on the radio in 1951. Italians embraced the Festival straight away, and their love for its music and allure never quivered. From around 18th February to 8th March it is carnival time in Genoa. Celebrations include parades in fancy dress, medieval costume, carnival float processions, children's events and masked balls by the port. Shows and guided tours are also organised during carnival period, as well as special gastronomic evenings in restaurants located around the city. The Monte-Carlo Rolex Masters – Monte-Carlo Open – which takes place in the legendary setting of the Monte-Carlo Country Club, an international tennis tournament created in 1897. The tournament takes place every year in mid-April on the exceptional courts facing the Mediterranean. The public and the players are always very enthusiastic about the prestigious venue, with players competing under a dazzling sun in one of the most beautiful places on the Riviera. Held each year on the Circuit de Monaco. Run since 1929, it is widely considered to be one of the most important and prestigious automobile races in the world. The circuit has been called "an exceptional location of glamour and prestige." 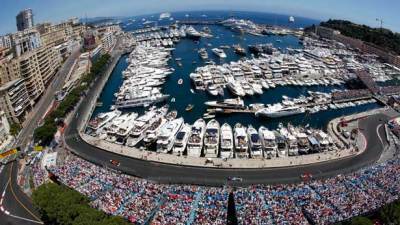 The race is held on a narrow course laid out in the streets of Monaco, with many elevation changes and tight corners as well as a tunnel, making it one of the most demanding tracks in Formula One. A local Balu tournament is held in Apricale in June and July with 16 teams taking part. A popular Ligurian game using an elastic ball is played against the walls of the ancient village. The local players are even more popular then football players. 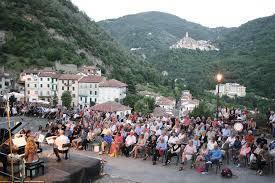 Pigna itself has a number of festivals over the summer period that are well worth looking out for. The feast of San Michele is 5 days of festivities including 2 dances and a ravioli and gnocchi festival - absolutely fantastic! And slightly further afield Jazz and Nice, an affair with a long history and one that the town is keen to preserve, like the crowning jewel in its musical heritage. Staged since the 1940s, this long-standing festival attracts jazz aficionados from all over the world. In August every village in the hills or by the coast tries to out do their neighbours by hosting festivals themed around music or food - sometimes both! In August you could visit a local festival everyday of the week . The Dolceacqua music season closes with a spectacular firework display to the backdrop of the castle and classical music. Held every two years (2014, 2016 etc. ), the Imperia Vintage Sail Festival is a result of the town's twinning with Rhode Island in the United States. This internationally important regatta attracts sail boats from around the world. Alternatively, the MYS is the only place to admire, visit and purchase around 125 extraordinary one-off superyachts built by the world’s most respectful shipyards. The Monaco Yacht Show is the one and only occasion in the year - and in the world - to discover the greatest of superyachting in the glamorous setting of Monaco. Chestnuts tumble from trees all over the lanes and paths around the village and are roasted in the square in Buggio at their harvest festival. Cinghiale hunting gets under way. Groups of camouflage-clad men roam the hills with dogs, guns and mobile phones (seems an unfair advantage!) Lots of wild boar are eaten with polenta. Those in the know comb the chestnut and beech woods with baskets to collect funghi to be dried, sautéed with herbs or put into risotto. All of these and more can be sampled in Pigna at their funghi festival. 3 Day Festival of the new season olive oil 'green gold' takes place at the end of November (dates tbc) in Imperia, the historic centre of Oneglia. Visitors can savour the region's most important basic ingredient - with cooking demonstrations, stands from regional producers and a guided walk through Imperia to learn about the history and culture of food in the area. There are also Institutional and tourist stands representing the Mountain Communities of the territory of the "Olive Oil City". The year is rounded off with Christmas celebrations. Most of the villages in the area have a tree and bonfire lit in the square. Eating and drinking take place in the squares in the run up to Christmas and the area boasts a joyous atmosphere. There is no one traditional meal to be eaten on Christmas day, fat capons, lamb and lentils are favourite foods.